Direct trade coffee. Seasonal. Specialty grade. 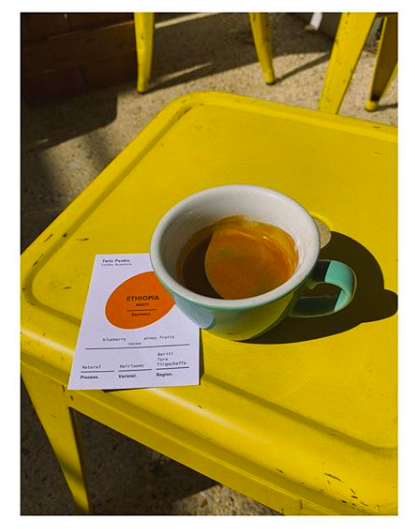 Lightly roasted in Perth by craft roasters. Prepared by baristas who are passionate about coffee. Flourish have a selection of micro-lot roasted speciality grade beans from Twin Peaks and Loaded. We will have one on batch brew every morning, and another ready for espresso. 250 gram bags available for purchase. Beans ground, and recipes for home brew methods, given for free. Flourish cold brew. Made in-house with speciality grade coffee beans and water. Simple. Delicious. Chilled. Flourish cold pressed juices are prepared locally by The Juicist using either organic or spray-free produce from local farms. Nutrient dense all natural juice. Drink in or take away. Made with fresh and frozen fruit. Blended with ice. Dairy or non-dairy options. Our regular’s favourite is the Citrus Green - made with fresh spinach and kale, frozen banana and pineapple, almond milk, a pinch of ginger and a drizzle of honey. Flourish offers a range of wholesome food that is freshly prepared. 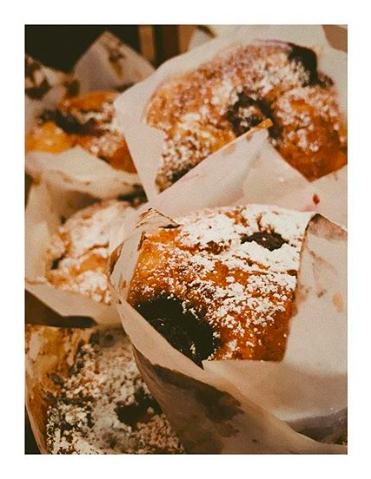 Our savoury and sweet muffins are baked in-house. The bread for the hand-cut toasted sandwiches is from the Common Bakery. Every day there is something new - check the menu boards or step inside for a look. Hand cut wood fired bread. Fresh ingredients. Toasted to order. Hugely popular snack with the regulars. Bacon bits and cheddar cheese baked in a wheel with a doughy scone like texture. Baked in-house with dates, honey and spelt flour. Baked daily in-house. Check counter display. Customer favourites include blueberry, raspberry & white chocolate, and lemon curd. Flourish uses the art series paper cups from Biopak. These environmentally friendly cups are printed with designs by Australian and New Zealand artists.